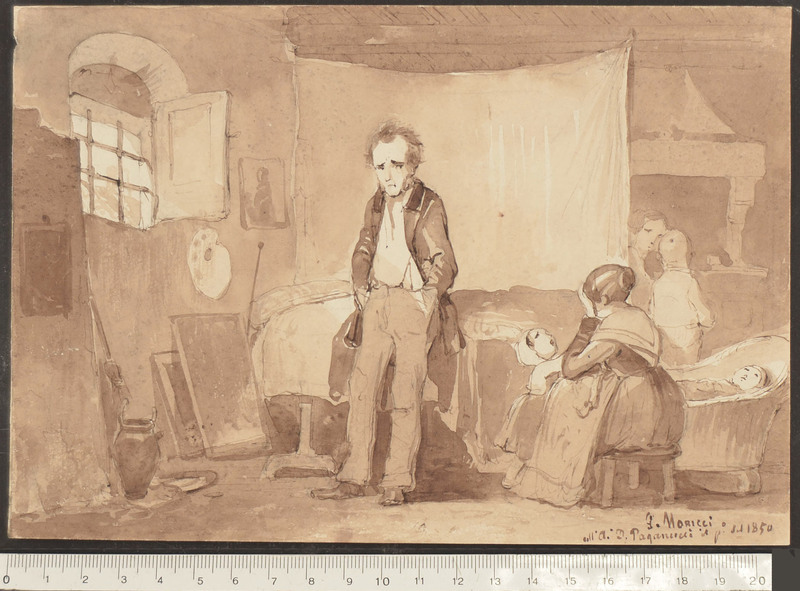 Pen and brown ink, washed in brown, over traces of black chalk. Signed, dedicated and dated G. Moricci /all'A°. D. Paganucci / p° del 1850. 142 x 206 mm. 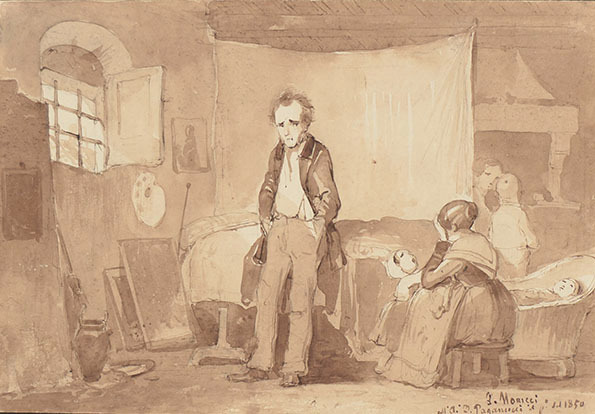 A playful caricature of a painter's family in misery, drawn on the first day of 1850.